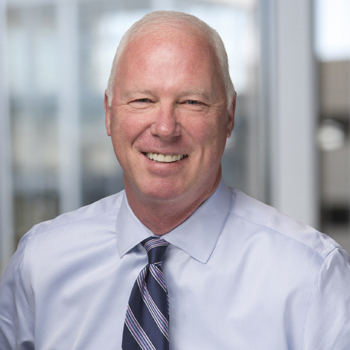 John A. Kiltz is a Co-Founder and Managing Partner of Stonelake Capital Partners. Mr. Kiltz directs the firm’s institutional investment and acquisition program. Mr. Kiltz also serves as a Member of the Stonelake Investment Committee having invested institutional capital for over 20-years. Prior to founding Stonelake, Mr. Kiltz was responsible for directing U.S. investments at Cypress Real Estate Advisors, a private equity firm in Austin, Texas. Mr. Kiltz was one of four Partners at Cypress and served on the four member investment committee. Prior to joining Cypress, Mr. Kiltz was the President of CCG Venture Partners, a private equity firm, where he headed acquisition and disposition activity, joint venture structuring and corporate governance establishment. From 1992-1997, Mr. Kiltz was Vice President of JMB/Heitman Financial, a large national pension fund advisor. While at JMB/Heitman Financial, he led acquisition activity in Texas and directed management operations. Prior to that, he was a Partner in the Houston office of Trammell Crow Company responsible for new industrial development and acquisitions. Mr. Kiltz received his undergraduate degree in Marketing from the University of Wisconsin and his Masters of Business Administration from the McCombs School of Business at the University of Texas. Mr. Kiltz currently serves as a Board Member of Brookwood in Georgetown and The Brookwood Community of Houston. He has been a past board member of Southwestern University and the Seton Medical Foundation of Williamson County. Mr. Kiltz and his wife Erin are members of First Baptist Church in Georgetown, TX.